Oscar Wilde Oscar Fingal O'Flahertie Wills Wilde (nacido el 16 de octubre de 1854, en Dublín, Irlanda, entonces perteneciente al Reino Unido – fallecido el 30 de noviembre de 1900, en París, Francia) fue un muy célebre escritor, poeta y dramaturgo irlandés. 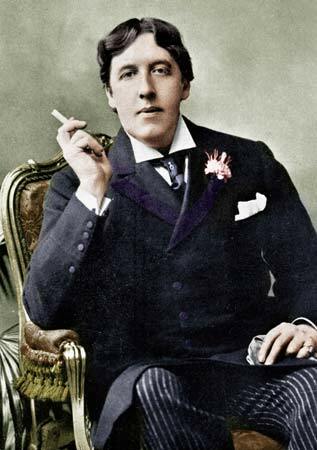 Oscar Wilde Oscar Fingal O'Flahertie Wills Wilde (16 October 1854 – 30 November 1900) was an Irish writer and poet. After writing in different forms throughout the 1880s, he became one of London's most popular playwrights in the early 1890s. Today he is remembered for his epigrams, plays and the circumstances of his imprisonment, followed by his early death.